On three distant worlds, three women journey towards their destinies. Before they started out, all three made a choice - to forget they share a single soul. In tech-ruled post-Crack Earth, where magic doesn't officially exist, project manager Ali's humdrum life under the crumbling Melba Dome is becoming weirder by the day. Her fingers keep glowing, a snarky dragon takes up residence in her head, and people she thought were her friends keep trying to control, kidnap or assassinate her. To top it off, she can't figure out why her previously perfect memory is suddenly full of holes. Meanwhile, on Heavens Gate, where magic and science have forged an uneasy alliance, research analyst Merindah is desperate to save her dying planet. What she lacks in magical ability, she more than makes up for in ambition, which comes in handy as she navigates family politics and feral deities. But when an impatient and not-so-extinct dragon begins to help her solve the puzzle of the Yarran journal, she realises her magic might not be as weak as she'd thought. Finally, on Reverie, where magic rules unfettered, a young orphan becomes burdened with tainted magical gifts. Dee is alone, trapped in a waking nightmare. When she finally surrenders to the voices in her head, her out-of-control magic unleashes her dragon and propels her onto a path that could unravel the fabric of time and space. Three women, three worlds - and their time is running out. Unless Ali, Merindah and Dee can reunite and unlock the secret of the Timegates in a single year, all is lost. They must each make unimaginable sacrifices to become the Key, the Gatekeeper, and the Fire who will save the Cosmos - or ignite Armageddon. First though... they need to teach their soulmate dragons who's in charge! 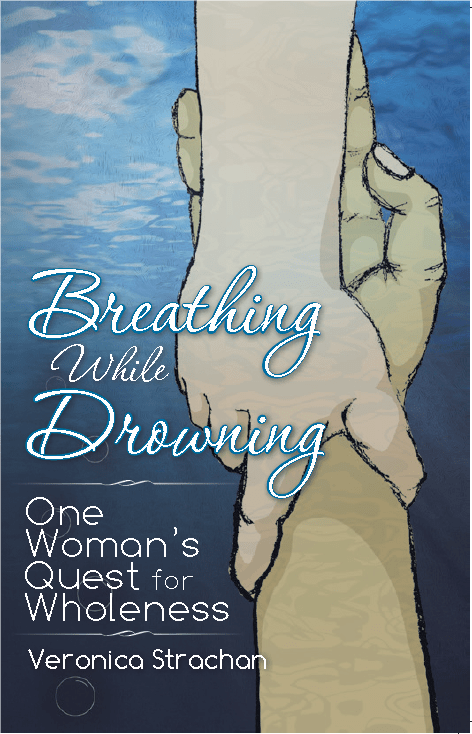 Breathing While Drowning: One Woman's Quest for Wholeness is a story of hope and courage, and finding your way home. Losing something deeply important - a child, a friend, or even a piece of yourself - can feel like drowning in an ocean of grief. But there IS a way through that ocean, and there are life buoys to cling to while you search for and regather your strength. And then, when you finally reach the distant shore, there's feeling, healing and reconnection waiting for you. In "Breathing While Drowning," Veronica Strachan charts her 20- year journey back to life after the death of her young daughter, Jacqueline Bree. She also shares her raw journals, tools, inspirations and powerful lessons to help and inspire you to do the same in your own life - in your own way, at your own pace. This book will do more than help you to move through your loss. It will teach you to be surprised at your own potential; to dust off your own dreams; and to live your life consciously, creatively, confidently, and remarkably. 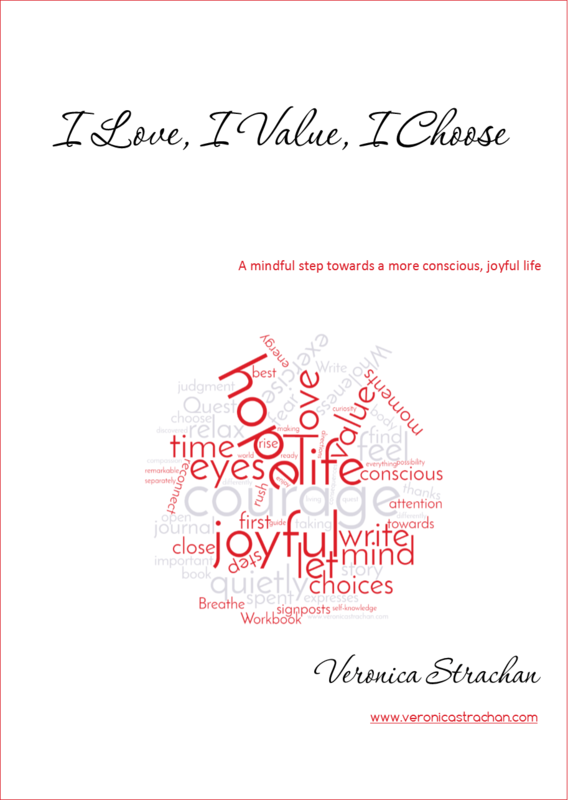 100% of all profits from the sale of this book will be donated to the Australian Communities Foundation to raise funds for Very Special Kids through the Strachan Clan Seil Fund. The Wholeness Quest Workbook takes you through 10 exercises to deepen your experience after reading Breathing While Drowning: One Woman's Quest for Wholeness. You can use the exercises as signposts on your quest towards a more whole and remarkable life. Or you can just get The Wholeness Quest Workbook now and get going. If you’re searching for a way to live more consciously, to explore your dreams, get direction, and find the confidence to plan and take that next step towards what counts, then this Workbook is a great place to begin. This mindful exercise is a chance for you reconnect to what you love and value; and to choose differently—or not. If you're ready to take a step towards a more conscious joyful life, then download your free mindful exercise here. I’ve gathered a stack of resources that I used to help me find my way back to a remarkable life—a life worthy of my attention. Are you ready to explore your remarkable life? Then it’s time to open a blank page, start journaling, and re-write your own story.